Sea Haven is located on the edge of Horsey Village close to the entrance of Horsey Gap Beach. It overlooks the countryside and is in a very quiet location. 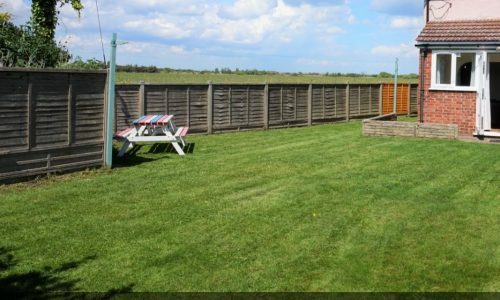 There are parking spaces for 2 cars and has a large enclosed grassed garden to the rear, both child and dog friendly. 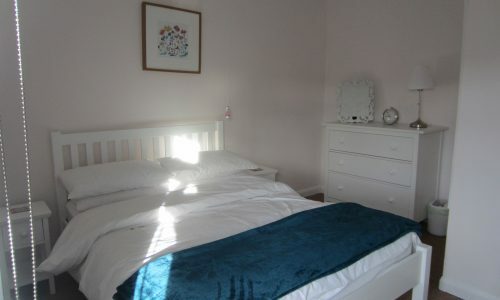 There is a double bedded room and twin bedded room on the 1st floor with the shower room situated on the ground floor. 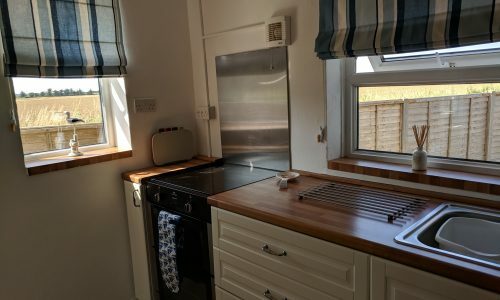 The kitchen is fully equipped including a table top freezer, recently modernised leading through to a very bright and spacious living/dining area with french doors leading to the rear garden. Sea Haven has an electric log burner fire and storage heaters in all rooms. Both TV’s in Sea Haven have a DVD player and a Hairdryer is available for your use.